Conversion rate optimization (CRO) plays a huge role in the design and composition of websites, whether you factor it in or not. As a web developer and designer, it is your job to provide an optimal user experience first and foremost. The overall design has to look good, yes, but you should never compromise performance and UX just for great visuals. 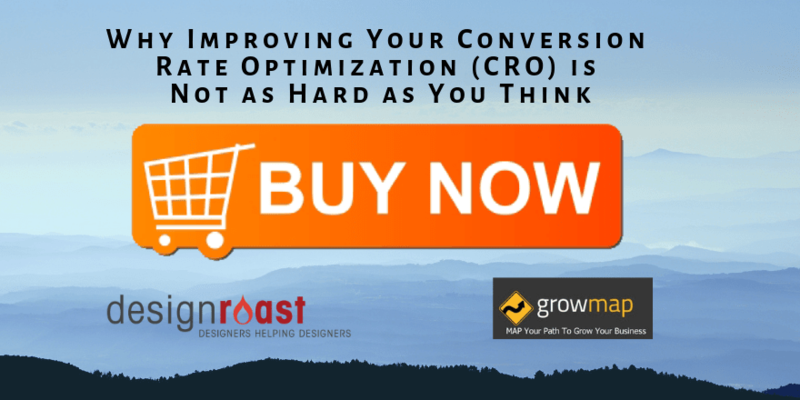 In essence, that is the basic concept of CRO, as well. It is a process that calls for the creation of engaging user experiences, which ultimately motivates people to remain on-site or complete a particular action. It’s not a quick-fix or a shallow rollout, however. Consider CRO throughout the entire design and development process. What is the mission or goal of the site? Are you selling products? Or marketing services or brands? Are you providing a free trial? Do you simply want to provide a community where customers can reach out and communicate with one another? All of these scenarios require proper CRO techniques. It is more about seeing to it that a design or website meets its full potential. So, how do you boost CRO for the average design? Here are four tips that can help you prioritize it. There’s a reason why blue is used a lot in design. Not only is it considered to be a color of happiness, but it also promotes trust and security. Yellow, on the other hand, is optimistic, quirky and youthful in nature. Pink tends to elicit romantic and feminine emotions. Orange is aggressive, generally perfect for a call to action. The concept of using color to enhance an experience is called color theory. It may also be referred to as color psychology. Learn it and use it to your advantage to augment your designs. Color can make the difference between an engaging button or call-to-action, and something that is generally passed over. This concept applies outside of digital spaces and online experiences, too. At a trade show, for example, choosing the right booth and promotional colors can mean the difference between lots of people stopping to interact with brand reps, or avoiding the booth entirely. White space looks great, keeps things relatively clean, and helps direct attention to more exciting elements on the page. But it can also be used for a lot more than just an accent or tie-in. There’s a lot you can do with your negative space. This is especially true if you want to call attention to an element or item. Placing a button or call to action half in the main design and half in the whitespace of a page, for example, makes it stand out and gives it visual depth. Of course, this is just one example of many. You don’t want to go too overboard, littering your negative space with interactive elements or content. But using it for emphasis is okay now and then. Similar to storyboarding, designing comic frames or even just reading a book, your website has to have a clear, relevant hierarchy. Typically, you read a book from left to right, starting at the top of the page and moving down. Comics or storyboards are read the same way, with unique frames sometimes used to change the flow — but even then, there’s still a clear idea of movement when reading from frame to frame. How you influence a person’s movement along a page or layout is called visual hierarchy, and there’s a science to it. Your website should always follow the same basic design principle. Make your ultimate goal be to lead visitors to a call to action, prompt or conclusion. You don’t necessarily have to follow conventions — reading from left to right, top to bottom is not a requirement, per se. However, you do need to provide visual cues and a clear layout, so visitors understand which way their eyes need to move on a page. A lot of this can be done by simply including elements inside a container or breaking up large segments of a page. Hick’s Law is an incredibly popular one to follow and is often cited by marketing professionals. It essentially states that the length of time it takes people to decide is proportionate to the number of choices they have available. With more choices, it’s going to take someone a long time to decide what they want or where they want to go. This is important in marketing and design because you’re muddying the waters more and more each time you ask your audience to make another choice. It’s not necessarily about removing all choice to make things easier— it’s about presenting smarter, more effective options. For example, requiring customers to sort through a huge list of categories and options right when they land on your storefront is a bad idea. That’s why many companies like Amazon offer smart recommendations. It gets their customers right into the thick of shopping, browsing products they’re already interested in. It also takes away that need to make an initial decision they may not want to make. More choice also means more hurdles to leap over when moving toward a particular action or event. Try to make it as simple as possible for customers to reach the conclusion you want. If that’s buying a product or subscribing to a newsletter, remove extraneous choices from the equation. It’s important to understand that while these elements do play a huge role in conversion ratings — color theory especially — if you want to achieve your goal, you need to get your point across in the amount of time your customers and visitors afford you. Generally, you have about eight seconds total to capture their attention and keep them on a page or moving through an experience. That’s shorter than the average attention span of most goldfish, and it definitely makes things difficult. But knowing this, it’s easy to see why you should not waste your opportunities by muddying up a design with ineffective visual themes or elements. Before going live with an experience — online or off — invest time in perfecting its composition. The more effective an experience, in total, the higher the conversion rate. Lexie Lu is a storyteller and UX strategist. She enjoys covering topics related to UX design, web design, social media, and branding. Feel free to subscribe to her design blog, Design Roast, or follow her on Twitter @lexieludesigner. the article is really informative and useful……we can utilize these tips for improving CRO….Thanks for sharing such a valuable infomation. Would definitely like to share and try to implement the strategy you mentioned in this article to improve ROI of business. The blog is really informative, I will follow the tips to enhance my online business. I really liked the point about having white space into the site. Yes this blog is really informative We have learned a lot about Conversion rate optimization. vmayo would love you to read ..Digital Marketing trends help to win Elections in 2019? Wonder full article and valuable information on how can you increase your ROI by using above mention method. You’ve made a great point. In order for marketing to work well, we need to know what campaigns are driving the conversion rates and the solution for conversion optimization. Nice article, Thanks for sharing. I will try these points. ukvalley would love you to read ..What is MLM? whats are the plans of MLM..? Explained by Umesh Khivasara from Ukvalley technologies. riya kumari would love you to read ..Hello world! Sanjay Gurung would love you to read ..What is MLM? whats are the plans of MLM..? Explained by Umesh Khivasara from Ukvalley technologies. This article is miracle in ways of improving cro. Thanks! please do keep updating with such more articles. Hi Lexie, Love this one! You are right about giving people too many choices. I’m looking at re-working my homepage and this post gives me a few ideas. Thank you! +1 for eliminating choice. When I speak with my clients I always recommend leaving that top menu as empty as possible, then rely on subpages to do the work. Choice-overload is the quickest way to make somebody hit the back button. Matt would love you to read ..What is a social enterprise and why would you work at one? Thanks for taking the time to comment. I learned that choice causes indecision when I offered people just 2 options and they did nothing. I found that only offering them 1 option, completing that request, and only then offering them an expanded offering worked much better. People really hate to think, don’t they? I have found this blog very useful, as you have mentioned the reasons why converting current traffic is better than acquiring more traffic. from here I have understood that for a very high level, the CRO involves many processes like, determining problem areas on a webpage , prioritizing problem areas on a webpage, creating a testing hypothesis, creating new design based on the testing hypothesis, Analyzing the testing results and others. This is incredibly helpful feedback. Especially “Do a Little More With Your Whitespace” – striving to be minimal is on trend. I obsess over white space because it keeps people focused on my content and premium offerings. Bloggers tend to struggle on conversions by giving readers 40 different conversion possibilities. Use ample white space pointing to content and a few premium offerings. Simple way to prosper. I totally agree with you! I am no designer, but the “WordPress developers” who refuse to use themes and think they are designers often create the worst sites. And that is mostly because they don’t know how to use white space appropriately. Because I had seen the results of tests that showed offering 3 price points led to higher sales amounts (because people would then value the mid-priced offering higher), I once tried offering 2 choices. Big mistake. Only give them ONE choice if you want to convert sales. Notice that good sales people don’t ask if you want it. They ask whether you want the red one or the blue one (assuming you DO want it). Then after they agree you can offer them an upsell immediately or later.